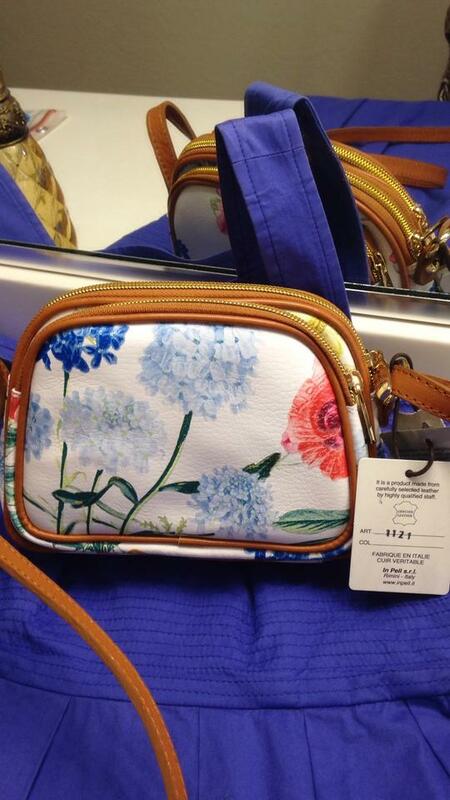 Valentina - Made in Italy - Floral Leather Bag. 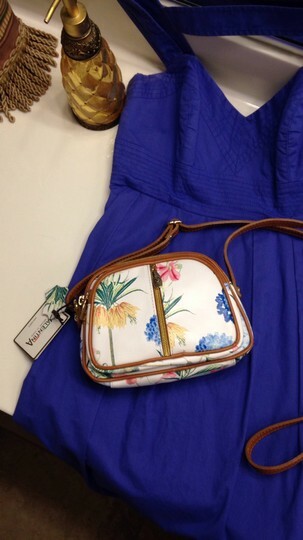 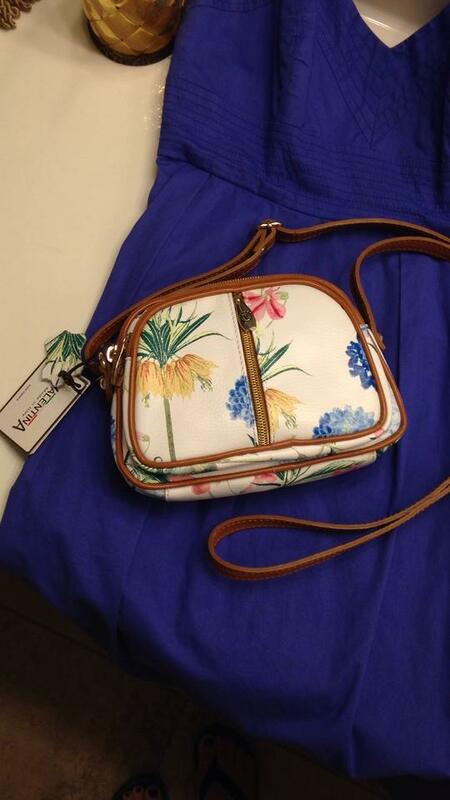 This bag is absolutely gorgeous white leather with a multicolor floral design. 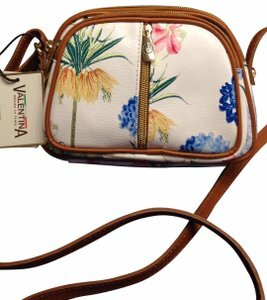 It is trimmed in a caramel leather, it has three zip compartment's on the top and the front is actually another zip compartment. 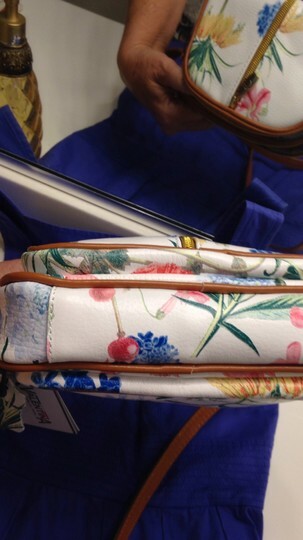 That measures 8 1/2 inches across, 7 inches high and 3+ inches wide. 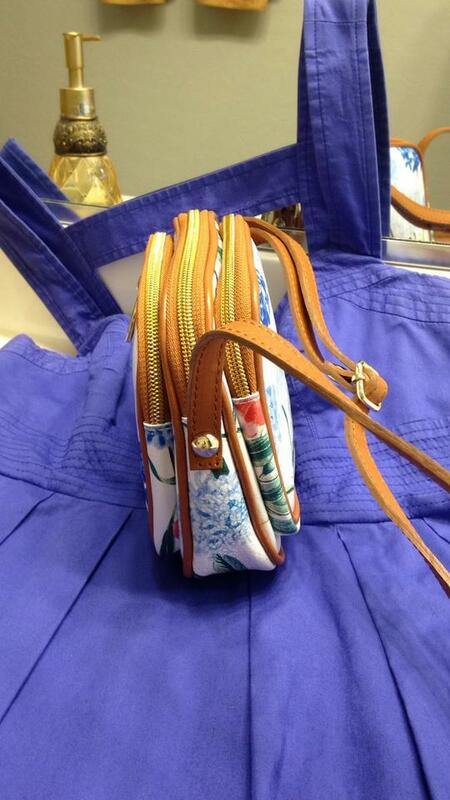 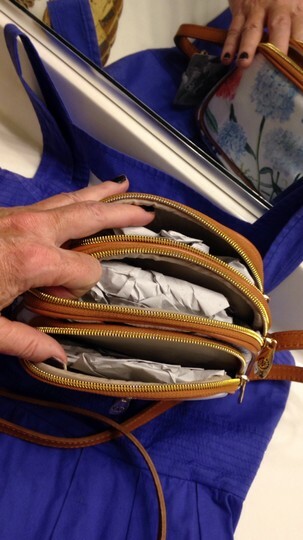 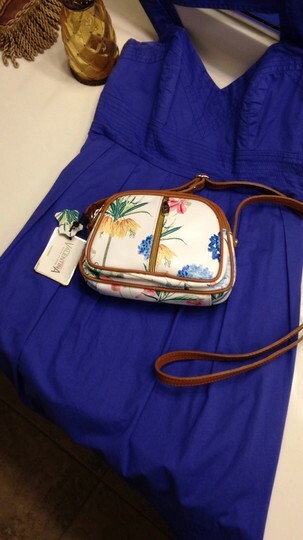 The strap is adjustable and can be worn as a cross body as well. 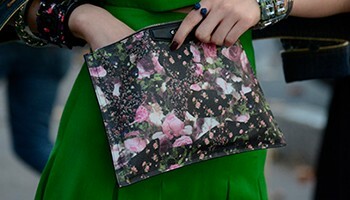 What a great bag!